Hi! 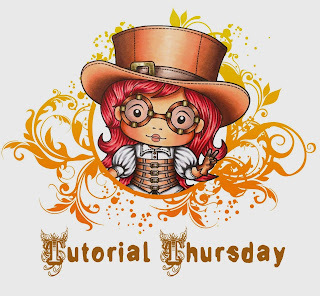 It's Sandie here with a quick tutorial to share for Tutorial Thursday (on a Sunday!) 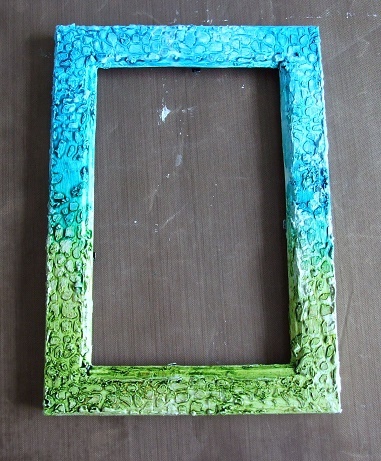 I love to colour, and to play around with mixed media so I brought the two together and altered a picture frame. 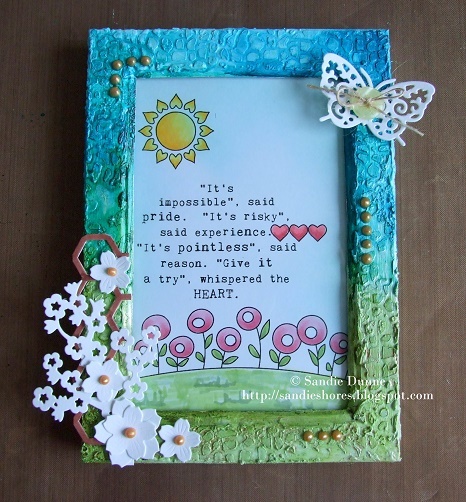 Take the back off the picture frame and remove glass. Set them aside. 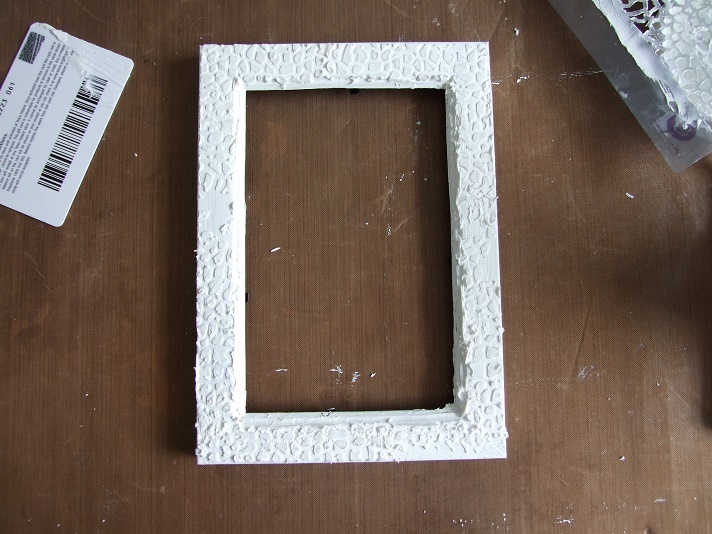 Apply a layer of gesso all over the frame and dry with a heat gun. 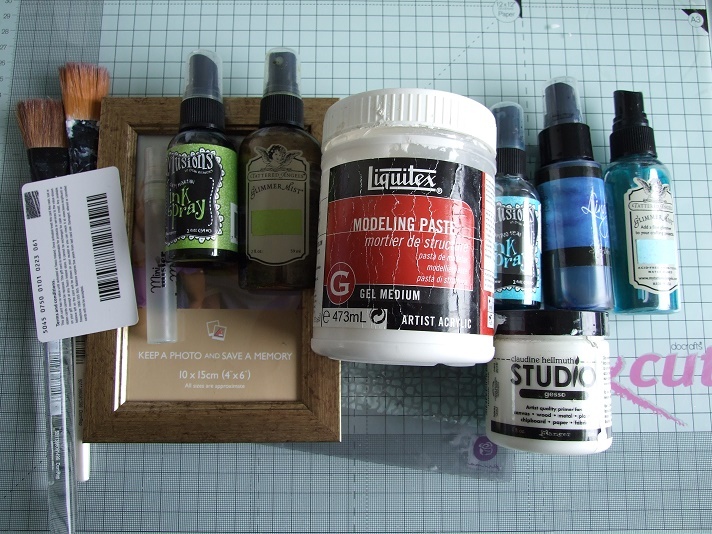 You really don't need to be too fussy with this step as we will be going over it with gesso again. Lay the stencil over the frame, positioning it as you want it then, taking the palate knife or old gift/bank card, spread the modeling paste over the stencil. 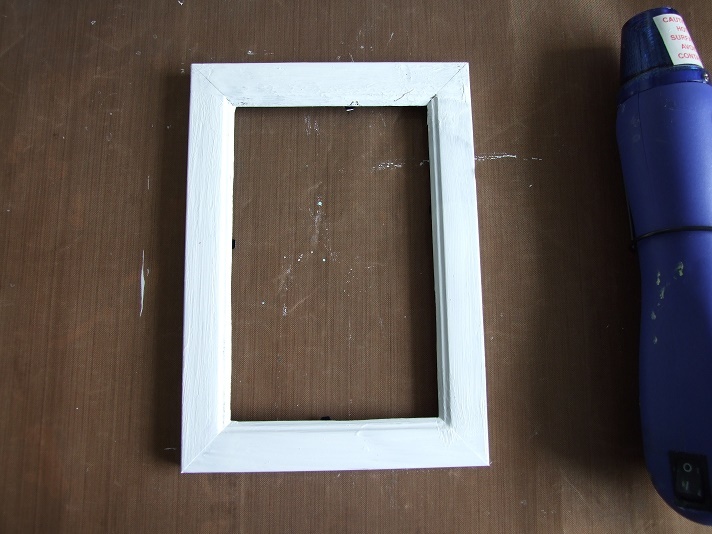 You may need to repeat this process to cover the whole frame, depending on the size of your frame and stencil. Apply another layer of Gesso, slightly watered down, over the whole thing and heat dry again. 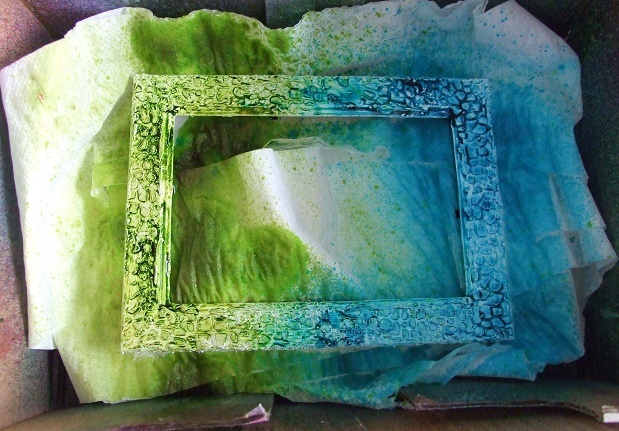 Once dried, place the frame in a cardboard box on top of some tissue. The tissue will catch the extra ink. Spray first with the darker colours. I used London Blue and Dirty Martini Dylusions sprays. Fill it in with the lighter colours. I used Kiwi and Patina Glimmermist. 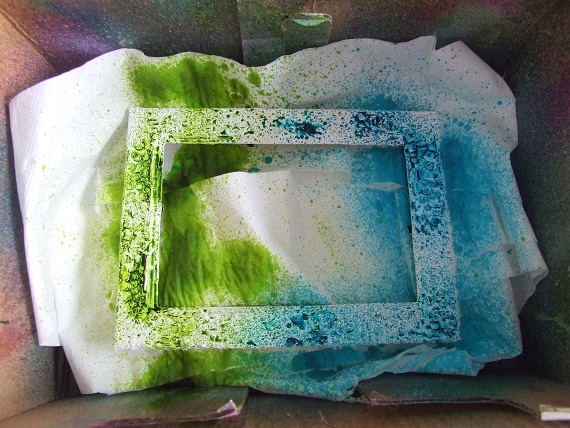 Spray the frame with a little water using the mini mister to move the ink around into the creases. Remove from the box and heat dry. Set aside to dry further while you work on your image. 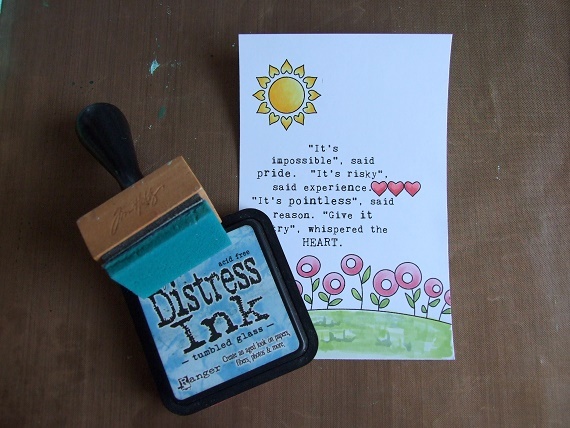 Colour up the image as desired, then sponge the background with Tumble Glass distress ink. 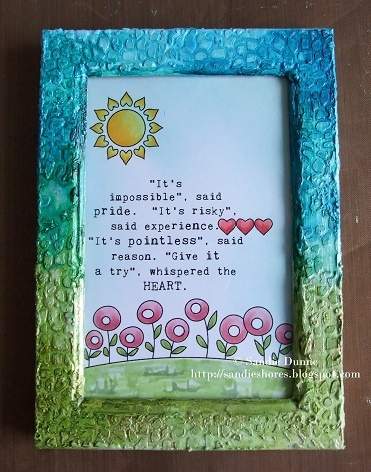 Once you are happy with it, insert it into the frame. Embellish as desired. When I had all of my die cuts stuck down I added a flossed button and some gold Viva Decor pearl pen to complete it. 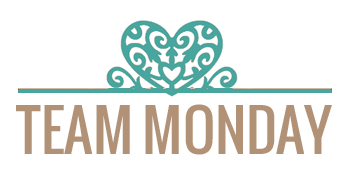 We would love to see your take on this week's tutorial! 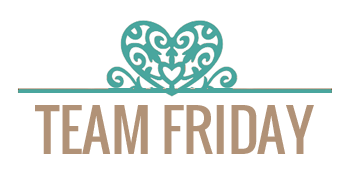 For more Design Team inspiration join us over on our Facebook Page. You can also find us on Pinterest. 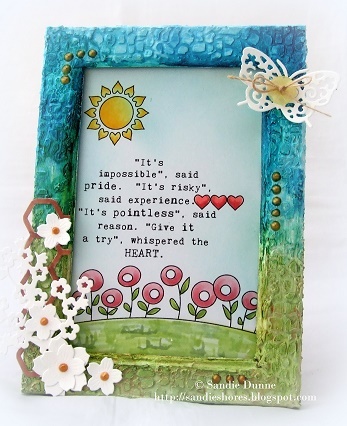 I love this project and want to try it. Thanks for the inspiration.